Learn how to make each day worthwhile regardless of what is happening in the Telestial world. Learn and practice the steps necessary to change one's thought patterns to match the Saviors. Then you discover that one of your thought patterns needs improving, refer to the four steps for change to make that improvement. As your thoughts, feelings, and acts become closer to matching the Saviors, your enjoyment of each day will increase. Everyday will become worthwhile for spiritual growth, and your hope to be raised unto Eternal Life will increase. Paperback Manual (CDs NOT included): Individual spiral-bound workbook manual for eight-week seminar. 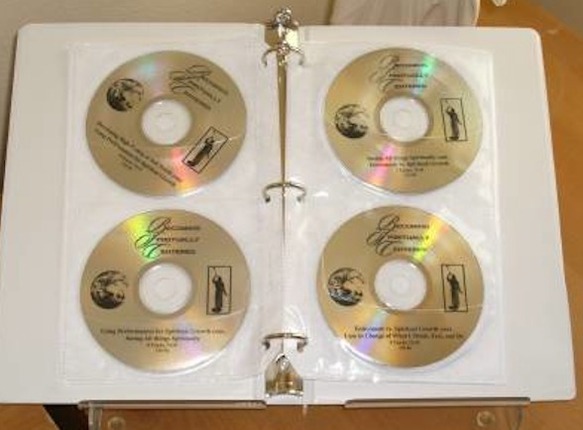 Book on CD (workbook NOT included): This is the audio version of Brother Cox's eight-week live seminar on 11 CDs. Listen two hours per week learning how to change thought patterns, then practice the steps and principles during the week. Then the next week review the progress made, listen to another CD, and do the assignment. 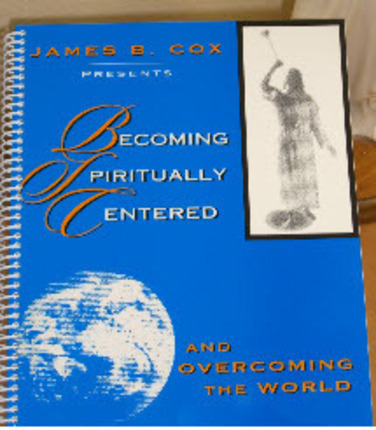 This CD set does NOT include the Becoming Spiritually Centered Workbook but DOES include the book, How to Qualify For the Celestial Kingdom. BUY IT. If you always wanted to know the answer to "if the Gospel is true, why am I so miserable?" THIS SERIES WILL HELP YOU UNCOVER THE ANSWER! I am so grateful that a friend of mine shared this program with me, and that I in turn shared it with our family. It has changed our life second only to our testimonies that the Gospel is true. You will go through CD after CD and think "I know this." And you do, because it all comes from the scriptures and teachings of the Apostles and Prophets. What Jim Cox does is show you the logical connections of active application. If you apply these principles in your life, I promise you, you will become more like Christ. The things which are so hard for you to overcome today will be a thing of the past. Today, I am struggling to love the recent actions of my sister who continues to promote and incite evil against my family. Thanks to Brother Cox, I have been willing to truly Let Go and Let God, separate the value she has in God's eyes from her current performance, and pray to use these adversities and evil for spiritual growth, and truly pray for the well being of "those who curse you and spitefully use you" (Matt 5:44, Luke 6:28), not just lip service, but really mean it. Life has become a far more even keeled, peaceful place since we incorporated these teachings in our life. Please do not waste another moment of your life without learning these things. Amidst the vast collection of books written about how to apply the “good news” of the Savior Jesus Christ, Becoming Spiritually Centered stands unique as a practical implementation guide for those willing to take personal responsibility for both their actions and thoughts. Over the past five years I have introduced it to over a dozen friends, each facing significant challenges in their lives. Without exception miracles followed in their lives. 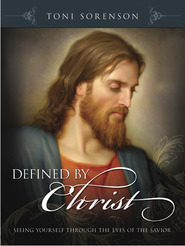 I’m delighted that Deseret Book discovered this magnificently powerful resource making it more widely available. I recommend it wholeheartedly and without exception. This CDs series has changed my life forever. I'm so grateful for it. Why? It's a step-by-step program that teaches how to apply the Atonement and what that even means. All our problems are based in a temporal focus...all the solutions to those problems are found in a spiritual focus. It's true! Brother Cox teaches by using the scriptures and quotes from General Authorities how to shift our focus. Please purchase this and the workbook. The CD series is a life-changing. With this whole new perspective on life, we will be able to build Zion in preparation for Christ's coming. 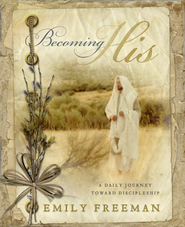 A life-changing way to use every day for spiritual growth. This set of talks has had a huge impact on my life. I have listened to them again and again. Brother Cox shares gospel principles he has learned in a very unique and powerful way. He teaches practical applications that can be used in every-day life to strengthen testimonies and bring us closer to our Savior. I learned how to use each day for spiritual growth, and it has blessed my life tremendously. I highly recommend them for every home!